If you were injured and end up at Jackson Memorial Hospital in Miami, the personal injury lawyers at the Wolfson Law Firm are here for you. No one plans to be in an accident but it happens. When it does, your life is turned upside down. At first, you feel as if you have no control. Life comes fast in those moments. That is where our Jackson Memorial Hospital accident lawyers can help you. We have helped personal injury victims since 1963 and we know what to do. Just call us at (305) 285-1115 and let’s figure out how to help you right now. 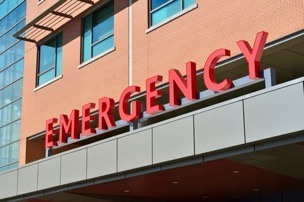 Our Jackson Memorial accident attorneys can come to see you at the hospital or the emergency room. We can also meet you at your home or work. Our Miami injury lawyers can communicate with you by phone, text, face time or Skype. There is really no excuse for you to be a silent victim if you were injured due to the negligence of another in Miami or anywhere in South Florida. Especially since all of our consultations are free. You owe it to yourself and your family to get the answers you need to get the justice you deserve. The county owned and operated teaching hospital known as Jackson Memorial Hospital in Miami was founded in 1918. Locally the hospital is known as “Jackson” or “JMH”. It is affiliated with Ross University School of Medicine; Florida International Hospital; and the University of Miami. The hospital is operated through the Public Health Trust and supported by county taxes. Jackson is located in the Miami Civic Center. It is home to the Ryder Trauma Center which is the first facility of choice in critical and life-threatening situations in the Miami metropolitan are. Ryder is the only Level 1 Pediatric and Adult Trauma Center in Miami-Dade County. Jackson is the third largest teaching hospital in the USA and has more than 1,500 beds. It is part of the medical complex centrally located in Miami-Dade near the intersection of SR 836 and I-95. It is also easily accessed at the Civic Center Station of the Metrorail transit system. The Jackson Memorial Hospital and surrounding medical facilities make for a heavily traveled and populated complex. Visitors and patients get hurt in the hospitals, garages, streets and hallways. Sometimes these accidents can be fatal. If you were seriously injured at Jackson or any of the other hospitals or medical centers, the Jackson Hospital accident lawyers can help you get the financial compensation you deserve. Since 1963, the Miami accident and injury lawyers at the Wolfson Law Firm have helped personal injury victims throughout South Florida. Our accident attorneys have litigated and mediated all forms and types of personal injury cases. When it is necessary to take a case to trial or appeal, our attorneys are ready. We invite you to review our qualifications and results to make sure you are satisfied that you have selected the best personal injury lawyer in Miami for your case. If you have any questions about your potential case, then please give us a call at (305) 285-1115 or toll-free at (855) 982-2067. Our accident lawyers handle cases in Miami, Fort Lauderdale, West Palm Beach and all over South Florida. We are proud to serve the communities of Miami including Liberty City, Miami, Coral Gables, South Miami, Overtown, Fontainebleau, Hialeah, Kendall, Miami Beach, Miami Gardens and Aventura. Give us a call today and let’s get to work on your case right away!